Hello and welcome to BAD Tri. We are keen to welcome all new members and realise that the prospect of coming along can feel a bit daunting. We are often asked the following questions by people considering joining so have put them together on this page to help you get a feel for what the club is about. Q: I am not a member, but I'd like to come to a session as a "tester" to see if I'd like to join the club. Is this possible? A: Yes. However, due to our insurance requirements, you will need to have a day membership in order to attend. Please print off a day membership form, complete it and bring it along to the session you wish to attend. Please bring £1 for your membership and if you are attending a paid session, £5 for a 1 hour session or £8 for a 90 minute session. There is no session fee for bike or run sessions but you do have to pay an entry fee to Whitehall track on track days. Your participation in the session is at the Lead Coach's discretion. Q: I tried to contact the club through "contact us" on this site and have not received a reply, am I being ignored? A: No, the members of the BAD Tri Team who receive emails on behalf of the club endeavour to respond to mails as soon as they possibly can. Every member of the BAD Tri Team is a volunteer and has to fit their club commitments around their own life and work so please do be patient. If you have not received a mail after 2 weeks then it is more likely that the responses are being filtered out by your email spam settings so please check your spam folder and set your spam settings to recognise any email address from @badtri.org as not spam. If you cannot find the mail in your spam file (your mail provider may just delete what it considers spam) then adjust your spam settings as above and re-send your enquiry. Q: I have tried to pay my membership fees with my credit card and the transaction is not completing, what should I do? A: We have seen in the past that credit cards occasionally fail to complete transactions on the payment system. Please try with another card and if possible use a debit card. These seem to work more reliably. Q: I have joined and my payment appeared to complete but I have not received any confirmation, what is my membership number and how can I get it? A: If your payment has completed then the system has sent a mail to the address that you registered with. These mails do occasionally get filtered out by spam filters so please check your spam folder and set your spam settings to recognise any email address from @badtri.org as not spam. If you cannot find the mail in your spam file (your mail provider may just delete what it considers spam) then adjust your spam settings as above and go to the "forgotten your password/recover your account details" link on the right hand side of the member login page . Q: I have just this minute joined the club, can I come to sessions? A: Yes, as soon as your membership is completed on line you can book onto bookable sessions with credits bought through our webshop or just come along to bike and run sessions. The coach will be able to confirm your membership from the list of booked attendees for the session. Q: I haven't done a triathlon yet. Can I join? A: Yes. Please do. We are keen to encourage and support first timers in getting to and completing their first race. Q: How much training will I have to do? A: This very much depends on what your aims are. As a member of the club the coaching team will be happy to give you general guidance and the sessions are structured across the year to build towards the race season. As a club we do not insist that you join any of the club sessions or that you train in all 3 disciplines. A: Not at all. As a club we aim to encourage participation and enjoyment of the sport and to do this in a friendly environment. Racing is not a pre-requisite. Q: Do I need to be a member to attend club sessions? A: Yes. The club is run for the benefit of its members. You are welcome to come to a bike or run session before joining but if you want to keep coming you will have to join. If you would like to come to a swim session, please see the answer in the "Swim" section of the FAQ. Q: How do I join the club? Q: What time and where are the swim sessions? Q: What is the minimum standard of ability required to be to join a club swim session? A: If you can swim front crawl for 100m (4 lengths of a "normal" public pool) at any speed without stopping you will be able to join in with the Monday and Wednesday evening swim sessions. These have more coaches on poolside and this makes it possible to deliver more individually focussed coaching. Q: What if I can't swim that well? A: As a club we can recommend basic swimming lessons with various people. Please contact coaching for more details. Q: I am not a member, but I'd like to come to a swim session as a "tester" to see if I'd like to join the club. Is this possible? A: Yes. However, due to our insurance requirements, you will need to have a day membership in order to attend. Please print off this document, complete it and bring it along to the session you wish to attend. Please bring £1 for your membership and £5 for a 1 hour session or £8 for a 90 minute session. Your participation in the session is at the Lead Coach's discretion. Q: What time and where are the bike rides? Q: Do I need to ride a racing bike? A: No. A racing bike will definitely make joining the ride easier but it is not a requirement. We do recommend that you fit your bike with smooth or lightly treaded road tyres rather than knobbly off road tyres as these more than anything will slow you down. Q: How fast and long are the bike rides? A: Bike rides are structured to offer different speeds and distances depending on how fast and far riders wish to go on the day. Groups are broken down by average speed (fast 17+mph, Med 15-17mph and slow <15mph) and then by distance (anything from 15 miles). Groups generally have no more than 10 riders. Q: I'm really slow, will I get left behind? A: No. A rider (normally one of the coaches) rides with the slowest group to ensure that no one is left behind no matter how slow you are. You are probably not as slow as you think. A: Yes. It is a requirement of club rides that you wear a helmet. Q: What time and where are the run sessions? Q: How good a runner do I have to be to join the run sessions? A: If you can jog steadily at a pace where you can talk to the person beside you for 30 minutes without stopping you will be able to join the sessions. Q: I am really slow. Will I get left behind? A: Run sessions are structured to ensure that no one gets left behind. Q: I am not a member, but I'd like to come to a run session as a "tester" to see if I'd like to join the club. Is this possible? A: Yes. However, due to our insurance requirements, you will need to have a day membership in order to attend. Please print off this document, complete it and bring it along to the session you wish to attend. Please bring £1 for your membership. Run sessions are free but please bring £2 for entry to the Whitehall Track if you are attending a track session. Your participation in the session is at the Lead Coach's discretion. Q: When are the junior training sessions? A: Every Saturday through school term times. We have to sets of Sessions. Our first session is from 15-00 to 17-00 and the second is from 16-00 to 18-00. Q: What is the structure of the training sessions? A: Alternate weeks we have Bike / Swim and Run / Swim. Q: What are the minimum and maximum ages that can attend the sessions? A: Minimum age 8 years maximum 16-17 years. Q: How good does my child have to be at swimming, cycling and running to attend the sessions? A: Your child has to have some ability in swimming and is able to swim 100 to 400 metres in a 40 minute session as well as complete a 40 minute running or cycle session. Q: My child is not yet a member, can they come along and try a session before joining? A: You can come along and try us out for 3 sessions before we ask you to join. A: No, bikes are not provided. You have to bring along a roadworthy bike and a kitemarked helmet. Q: How much does a junior session coast and how do I pay? A: For up to 3 try outs it will cost £7 per session £1 of that is a day membership for insurance purposes. Once a member, it will cost you £6 per session. Q: Are there any sessions during the school holidays? A: No. Sessions are held in term time only. Q: When does each "term" start and end? A: It varies each term. Check the calendar on this website. Q: I have a question that is not answered above, what should I do? A: Please get in touch using the Contact Us page, selecting "Juniors" from the drop down menu. Q: How much does a year's membership cost? A: Membership for a full year (April 1 to March 31) costs £34.00 for earning and £20.00 for non earning and NUS members. Q: It's the middle of the year, do I get a membership discount? A: As all memberships expire on March 31st every year, we reduce membership fees for members joining between January 1st and Feb 14th each year to £17.00 for full and £10.00 for unwaged/student/junior membership. Membership fees are kept to the absolute workable minimum. Club management administration and coaching are delivered exclusively by unpaid volunteers in their spare time. 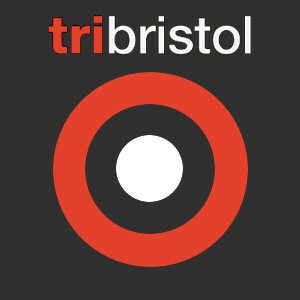 Q: Does my BAD Tri membership give me automatic membership of the British Triathlon Federation (BTF)? A: No. The club's BTF affiliation does NOT give our members automatic BTF membership. We do strongly encourage all our members to join the BTF and your BAD Tri membership does entitle you to a discount on your BTF membership. BTF membership provides a number of personal benefits and further enables the BTF to undertake more work to develop the sport on a national level and offer greater support to the BAD Tri as a club. Join BTF here. Q: I have read the FAQ and I still have a question, what can I do? A: You can contact us with your question.